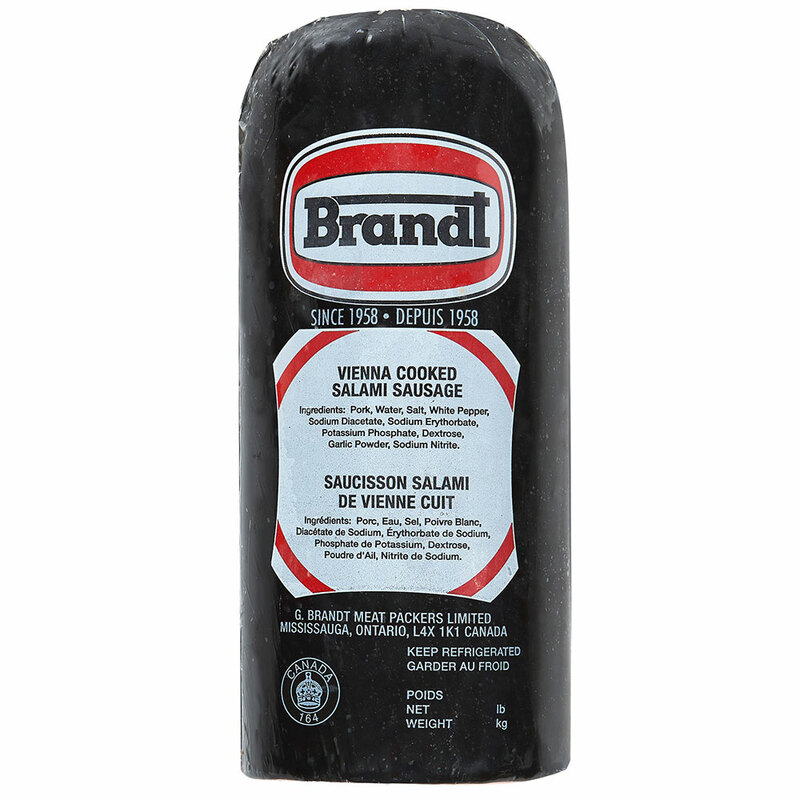 Our Vienna Cooked Salami is crafted using select cuts of pork and is lightly seasoned with garlic. This salami is cooked rather than cured and has a traditional flavour. 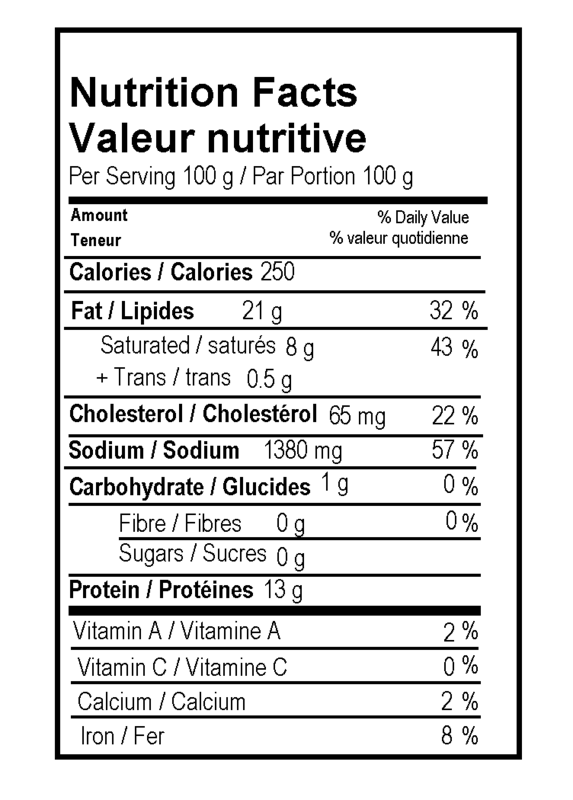 Pork, Water, Salt, Spices, Potassium Phosphate, Sodium Diacetate, Sodium Erythorbate, Dextrose, Corn Syrup Solids, Garlic, Sodium Nitrite.